I thank you for your support and all merch is being redesigned for a new launch in 2018. If you want any of the old designs, please contact us expressing which one(s) you'd like. Enjoy the holidays ahead. Have you ever been at a dance and a song comes on that you really want to dance to as the opposite role of what you took the lesson as? Or have you ever had problems old stereotypes and wish there was a way to show the world that you're breaking the mold? Well now there is this shirt that can help you show the world that you CAN both be a Leader and a Follower. Get your ambidancetrous shirts in a multitude of colors today! Ever go out dancing and a track comes on that is really fast, and the dance floor clears out? But you want to dance it. You think Balboa would fit the rhythm perfectly, yet you don't know who to ask. 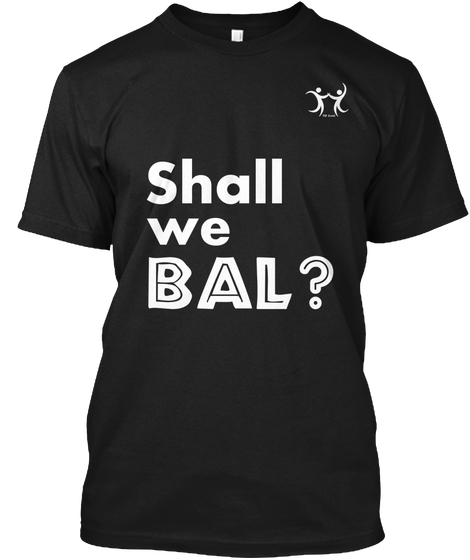 Well this shirt can help you stand out from the crowd, walk onto the floor and broadcast that you can Bal this fast song, and others that can Bal should come grab you before the end of the track. Get this shirt to help you do more Balboa in multiple colors today! Ever go to a dance, you're following a Lead, they do something you don't know, and you try to mimic them? The results may vary, but dance is a conversation. Just because a Lead does something cool doesn't mean the Follow has to mimic them. The Follow can do something different but cool in response. For all the Follows or the Follows you know that need a little nudge in the creative direction this shirt is for you. Like all the other shirts, a wide range of colors are available! As a dancer, have you ever gone to a workshop weekend to get better in one of the roles of the dance? Yet when you are at the dances at night, you find it hard to be that role? This shirt is half of the equation and helps boost the confidence in your role. Get this shirt today in a plethora of colors!